Our divers Gulseren K and Howard C just spent a week, August 1-8, 2015, on the Cassiopeia in the Egyptian Red Sea. 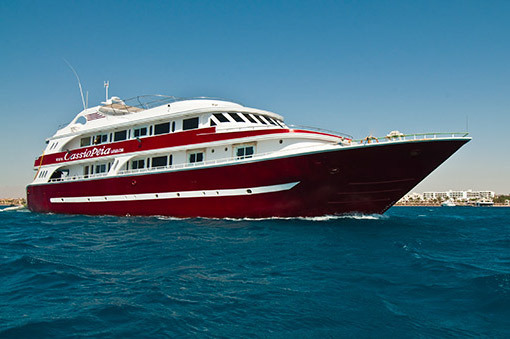 Contact us and we can get you a deal on this ship or the sister ship, the Andromeda. Here's a review from Gulseren…. Now let us look to next travel. Will you please send me the exact hours of Carpe Vita 30.december.2015 - 10.JAn.2016 tour please. I must know precise hours to get my flight tickets .."
Thanks - we had a fantastic trip! I would definitely return to Sudan and think its worth the effort compared to Egypt for quieter dive sites and more pristine coral. We saw plenty of sharks although were a little unlucky with the hammerheads, we saw them a couple of times but in general they didn't want to come up and play. We also had some bad weather than meant changes to the itinerary, although in the end this meant we had a great dive on a wreck up towards Port Sudan (I forget the name). I will complete your survey as requested to give more specific feedback, although I did not have an underwater camera so Sandra is your better bet for photos." "The travel with Fly Dubai and the meeting and greet from the company made it all very easy, no hassles with Sudan, security or visa etc at all (in fact rather enjoyed the night we had there at the end drinking Arabic coffee on the side of the port)." Testimonial from one of our Canadian divers. "Hi Greg..! I loved the boat, I loved journeying south, I get bored of being hooked in watching sharks milling about. It's OK when there's really an amazing show with incredible visibility but day after day of the same thing, meh. Some of the currents were just too strong for me and I was swept away. Not that I particularly minded because it's kind of fun riding a current that's moving faster than a freight train. Heehee"
"What was personally disappointing to me, is when we got to the latter part of some of the dives we'd end up in some of the most beautiful coral gardens, I've seen. But there wasn't time to truly enjoy them because we'd spent so much time looking at a bunch of sharks whilst our bodies flapped off the ledge like flags in the wind. I'd do it all again in a heartbeat but would set things up to ensure more time at the coral gardens." "In fact, might return with at least one couple if we can arrange our own dm, so as not to be stuck watching sharks! ;) so that said, what kind of deal can you swing for me on the special trip next December 30?" "Greg – I just wanted to say Thank You for all your help. 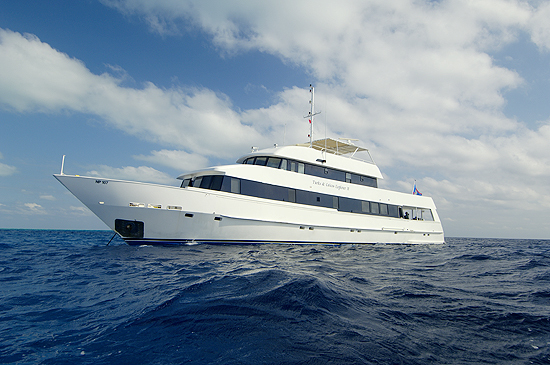 It was a great trip – nice boat, great crew, fantastic food, good diving. The only negative was the visibility (less than 50 ft on most dives) butother than that, it was great. I plan to return again and do some of their other charters, esp. the Tuabbatha (sp?) 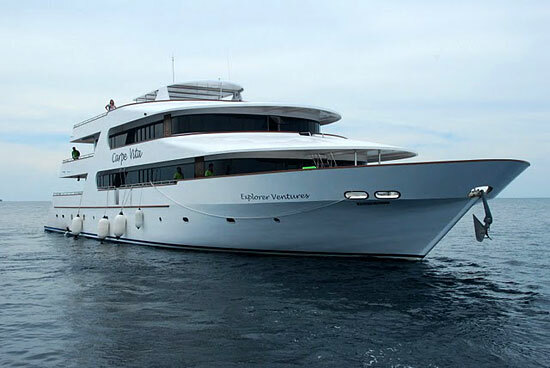 Reef itinerary in the far West, and maybe their Corona wreck trip." "Lembeh Resort is still great. They`ve improved meals and snacks and the pool area significantly since we were last there. The resort GMs are still amazing - e.g. they were doing spot checks on the chef to make sure he was using the vegetarian soup base for soups rather than chicken or beef while I was there so that I could eat the soups. They previously worked at Wakatobi which IMO shows. I also managed to hit Fish Geek week which was amazing - heard talked from Mark Erdmann and Gerry Allen and got to dive on their boat and see them in action underwater. Super cool. Anita felt there were less critters this trip than last time she went (I think in 2012) and I would tend to agree. Definitely fewer mimics. I still had a good time looking for obscure nudis (but that`s not Anita`s cup of tea). My favourite guide who I have dove with the past 3 visits managed to find me 3 phyllodesmium rudmani`s after many days of searching (which I had been on a mission to see - see SB post) so that was exciting. I still don`t love the food there (I ate vegetable soup for dinner every night for the entire length of our stay) but that`s partly because eating any raw veggies even at tourist oriented dive resorts tends to result in stomach sickness. I thought the old dive shop managers had a better system of focusing on the best/hopping dive sites rather than the new dive managers' current system, which just rotates through the entire list irrespective of quality or current activity levels. Dimpy the marine biologist remains terrific for IDing obscure nudis." "Quick email Greg. 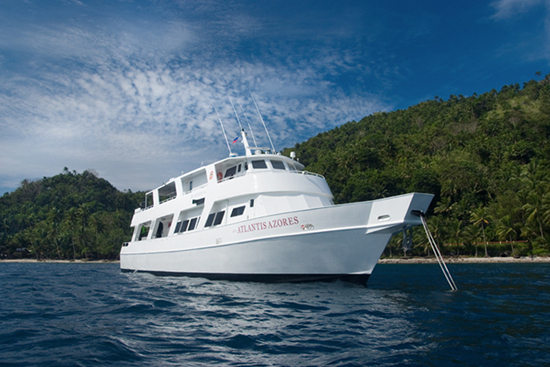 Diving and resort experience were both positive and I'm happy with the trip." The trip back in September was great, fantastic crew and nice boat. The only downside: the fact that it was a 3+4 day trip, with most passengers changing in the middle of the trip, meant that it attracted a lot of “light” (inexperienced) divers. For example, most divers did not use nitrox, making it hard for me to find a buddy (on the typical Aggressor boat, most everyone dives nitrox)." "I will work with you again for future dive trips. Thanks again for the help." The trip was nice. The resort was wonderful, the Azores was good, but not great. The weather was not ideal, with the typhoon over India." "The muck diving was very nice, with lots and lots of frogfish. Very comparable to Lembeh resort. Pick up service by the Atlantis team was as good as it could get at the airport." 2. The two captains on the boat had a less than perfect relationship. 4. The boat had a higher rate of issues versus other liveaboards we have been on. Probably a function of its age. Sewer smell, leaks, breakdowns, etc. 5. We dove several locations many times. Mostly due to weather, but I believe a more seasoned captain would have known other dive spots even with weather." 1. Local crew and dive masters were awesome. 2. Whale shark encounter, although artificial, was really nice. 3. Saw a blue ring octopus and a hairy frogfish together in one spot!!! 5. Frogfish galore, especially Giants! Saw at least 20! 7. Lots of public room on boat"
"Overall, I give the trip a 6 out of 10. Makes me feel a lot better towards the png trip! Still it was as you advertised, and was our option #4 if I remember correctly. Thanks for your help." Just wanted to follow up with you and say thank you once again for all of your help. Had a wonderful time on the boat. The crew was stellar and it could not have been better. Lots of sharks! "